Well, they’re still together, for now. Then again, Emma Stone and Andrew Garfield’s love journey hasn’t been fraught with as much drama as Robsten, both from outside factors and inside influences. At least not yet. 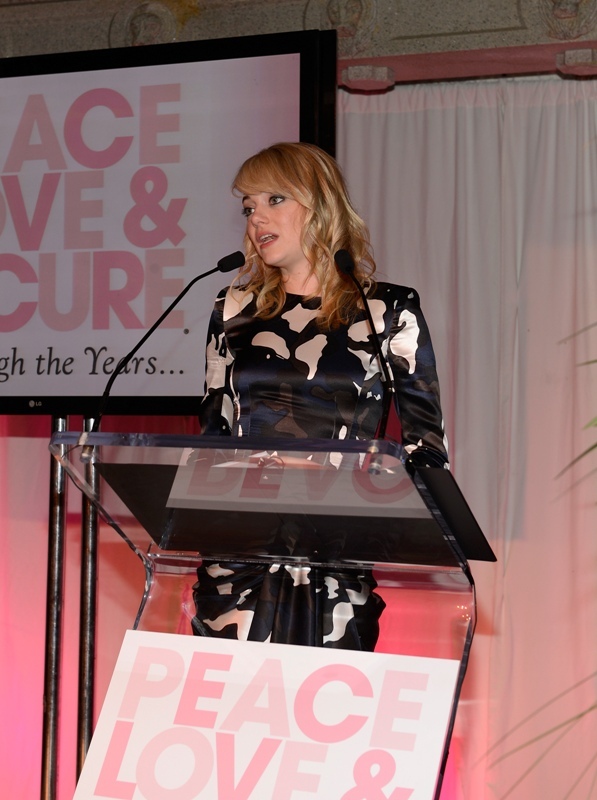 Emma spoke at the Peace, Love & A Cure Triple Negative Breast Cancer Foundation benefit yesterday in New Jersey. 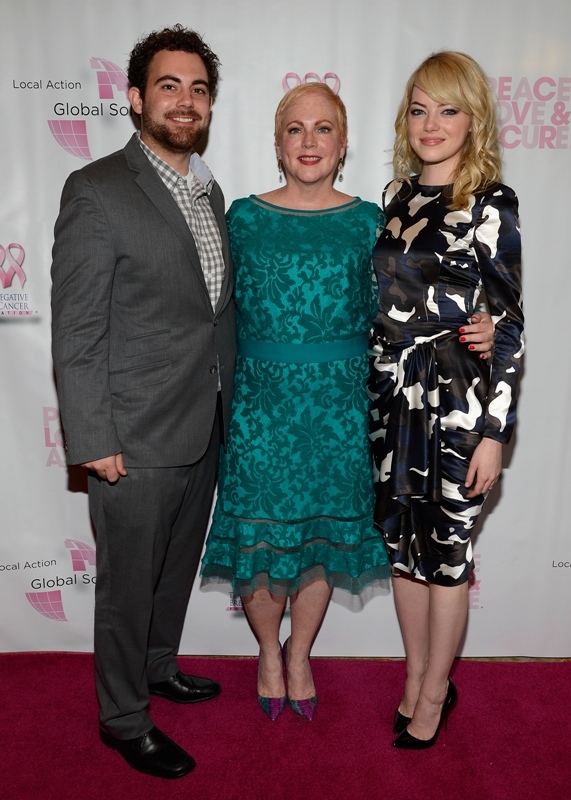 She was joined by her mother Krista, who is a breast cancer survivor, and her brother Spencer. Also, Andrew Garfield. 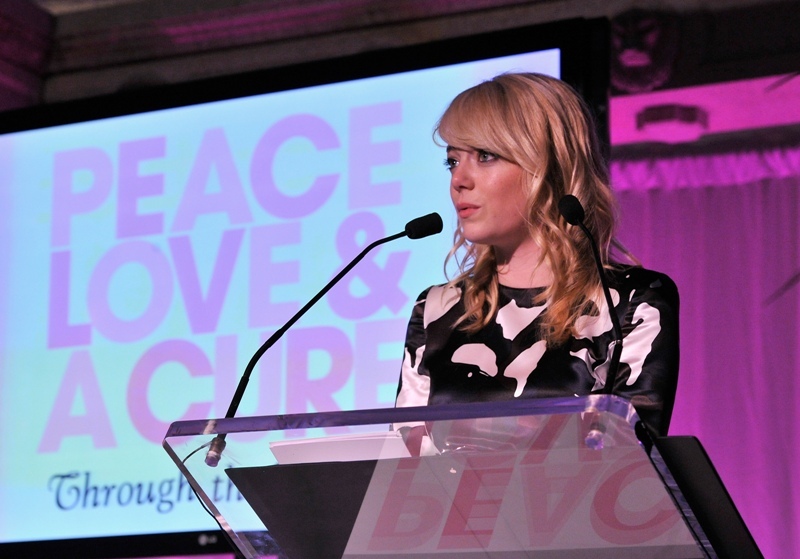 Who kissed her at the event and appears to be tenderly rubbing something off her face. Not much more to say. Just creep on these like I am.